Peru and Bolivia are incredible destinations packed with activities to get all the family excited. From exploring Machu Picchu together to relaxing in family-friendly hotels, the region is guaranteed to inspire and provide lasting memories that will give your kids something to tell their kids about. We know that planning a trip to suit all ages and generations is not always an easy feat, which is why our expert travel team are on hand to provide expert advice and the extra thought that goes into making sure your tailormade trip has all the best family options, whether you’re traveling toddlers, teenagers or the grandparents! Why visit Peru and Bolivia as a family? Peru and Bolivia offer unrivalled variety for a family break. Older children and teenagers will love the awe-inspiring scenery and outdoor opportunities like biking through the Sacred Valley, river rafting or racing across the salt flats of Uyuni in a 4×4. Spend quality time together immersing yourself in the culture with visits to authentic rural villages, spotting wildlife in the Amazon rainforest or camping under the stars. With a wide range of luxury hotels in Peru and comfortable options in Bolivia, you can enjoy your family time away stress-free. All of our family-friendly journeys are private and tailormade to suit your interests and travel style. Contact our expert travel team to plan the details and inject excitement into your next family trip. Peru is an ideal adventure playground for a memorable tailormade family tour. Cusco and the Sacred Valley are home to an amazing variety of adventure pursuits: horseback riding, whitewater rafting, kayaking, stand-up paddle boarding, biking, multi-day camping treks and ziplining, to name but a few! The capital Lima sits on the coast, with waves ideal for surfing classes. 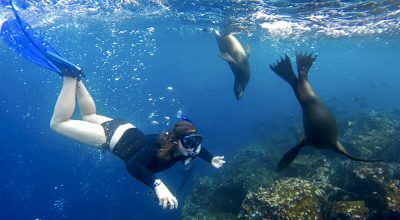 South of Lima lays Paracas, where boat rides to the Ballesta islands take you up-close to sea lions and the nearby desert terrain is perfect for sandboarding at sunset. In the north, you can spot humpback whales then kick-back by the pool at a luxury beach hotel on the palm-fringed shores of Mancora, or play Indiana Jones visiting remote waterfalls and little-visited ruins in Chachapoyas. Venture to the Amazon, the world’s largest tropical rainforest, to satisfy curious minds and inspire your children about the natural world. Base yourself in a jungle lodge – Refugio Amazonas has specially designed family programs for younger kids – and traverse treetop canopies for a unique perspective on the rich flora and fauna and visit colorful parrot claylicks. Alternatively, take a luxury Amazon cruise where you can swim and kayak in the Amazon. 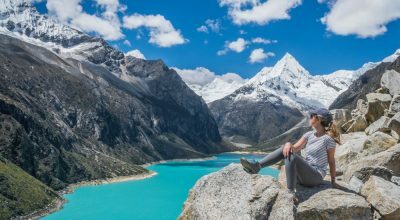 Peru is the perfect setting to broaden your children’s minds and connect with people from different cultures with interactive and educational experiences. Learn about traditional cultural customs with responsible, authentic village visits that take you away from the main tourist trails, optionally with a homestay experience for full immersion, and catch colorful festivals that are characteristic of Peru. You can also visit local markets with a chef for a hands-on cooking class, or even learn to make your own chocolate. 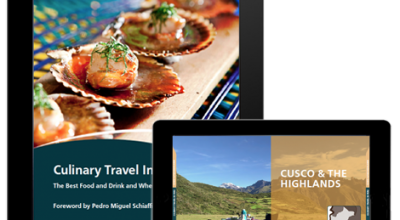 We arrange creative, fun activities to spend quality time together in Peru and Bolivia, whether Glamping in the Sacred Valley, or on a specially arrange treasure hunt in Cusco. When it comes to unwinding as a family, there is no shortage of stunning backdrops in Peru. From renting a private villa on serene Lake Titicaca to hopping in the hot springs of Colca Lodge, our expert travel team will share the top family options tailored to your children’s ages and family interests. Bolivia is an enigmatic destination. With more basic infrastructure than Peru, it is best suited to more intrepid families looking to get off-the-beaten path. 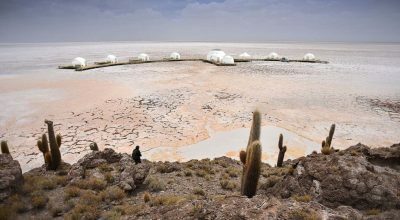 Making the compromise on some luxury comforts is more than rewarded with phenomenal views at the country’s highlights, the Salar de Uyuni, where you can play with perspective on this surreal landscape and capture a family photo that will entertain for years to come! Elsewhere in Bolivia you can take a boat cruise to Lake Titicaca, believed to be the birthplace of the Incas, or follow in the footsteps of Tyrannosaurus Rex at Sucre’s Dinosaur Park. We specialize in designing private, tailormade trips to Peru and Bolivia and promise fun experiences to suit the whole family based on our intimate understanding of family travel needs. Aracari’s Founder and CEO, Marisol Mosquera, who is recognized as Conde Nast Top Travel Specialist to Peru and Bolivia, has travelled with her own son across the length and breadth of the region. In business for over 20 years, Aracari has delighted in planning trips for families with young babies to teens and has seamless service to make sure your trip goes smoothly and worry-free. Read about an Aracari guest’s experience travelling with their family in Peru in this interview with Dana White, who has since become a family travel specialist herself! We select guides for families that are entertainers and educators, who have expert knowledge of culture, history, archaeology and botany, but know perfectly how to make facts fun to match their audience. We hand-pick all our hotel recommendations based, to share our travel wisdom on the best hotels for families, whether you need connecting rooms or family villas. Mother and son Jo and Gabriel traveled to Peru with Aracrai. Check out their video with highlights of their trip to the Amazon jungle, Sacred Valley and Machu Picchu. Read more of our client testimonials.